This small mod adds new set of sideskirts for Peterbilt 579 (duh) which build up the EPIQ Edition aerokit (stock and painted variants available). 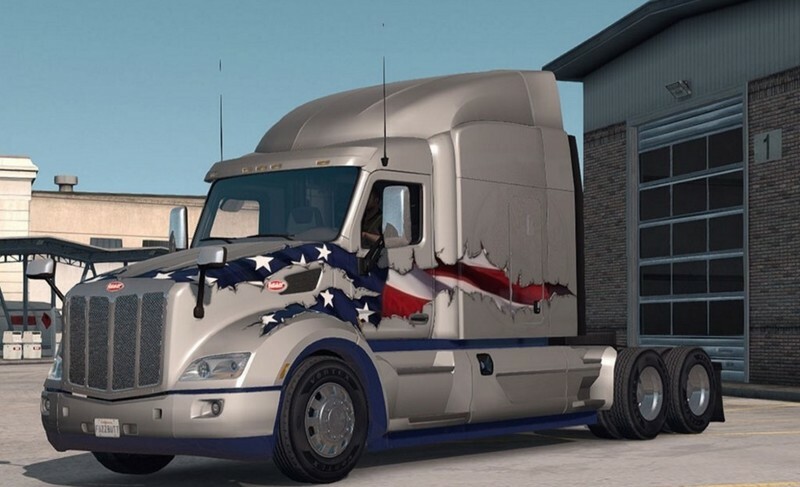 For daycab additional cab deflector – spoiler is available (it works best with simple skins). Also note – painted variant of the aerokit takes random paint from truck’s skin. Tested on latest game version without any log errors. * Fixes a small material issuewith “painted” variant of aerokit.